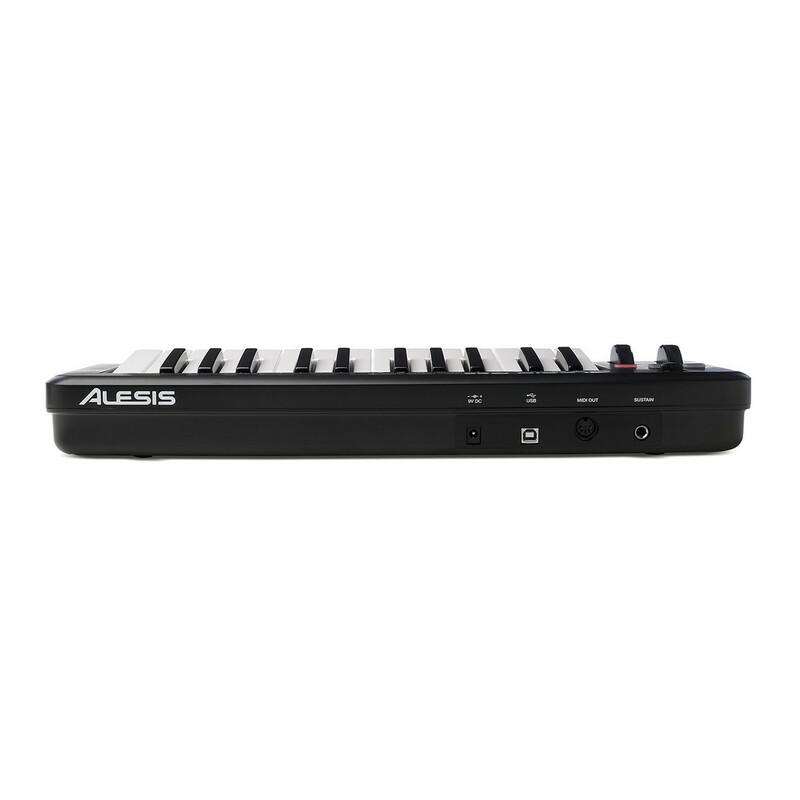 The Alesis Q25 is a 25-note, MIDI keyboard controller that is velocity-sensitive with USB and traditional MIDI ports. 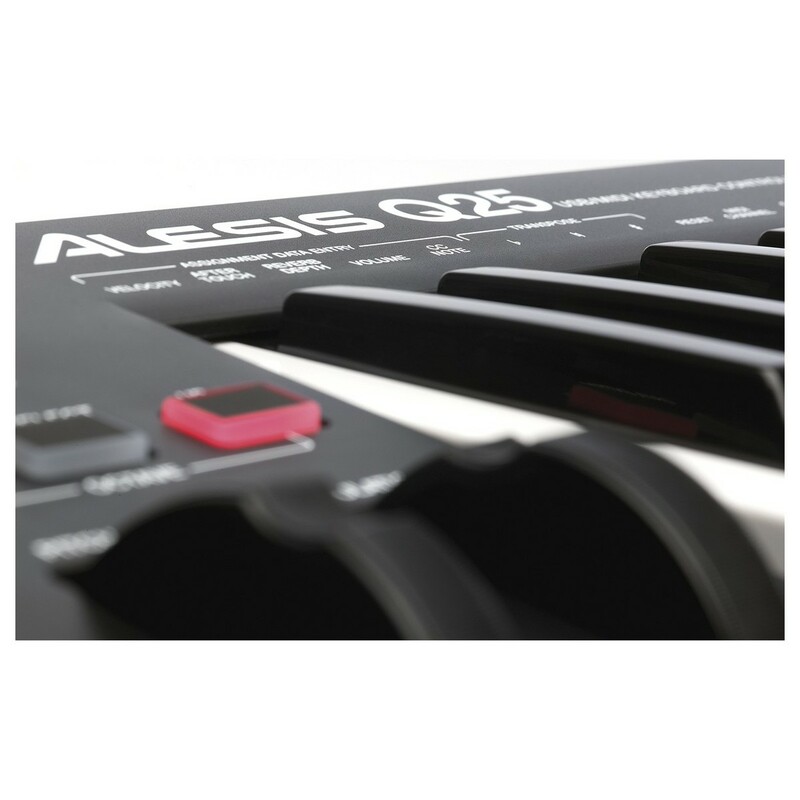 The Alesis Q25 features Pitch and Modulation wheels, backlit Octave Up and Down buttons, and a Volume/Data Entry slider. The versatile functionality of this MIDI keyboard means that you can add expression, range, and dynamics to your performances quickly and effortlessly. 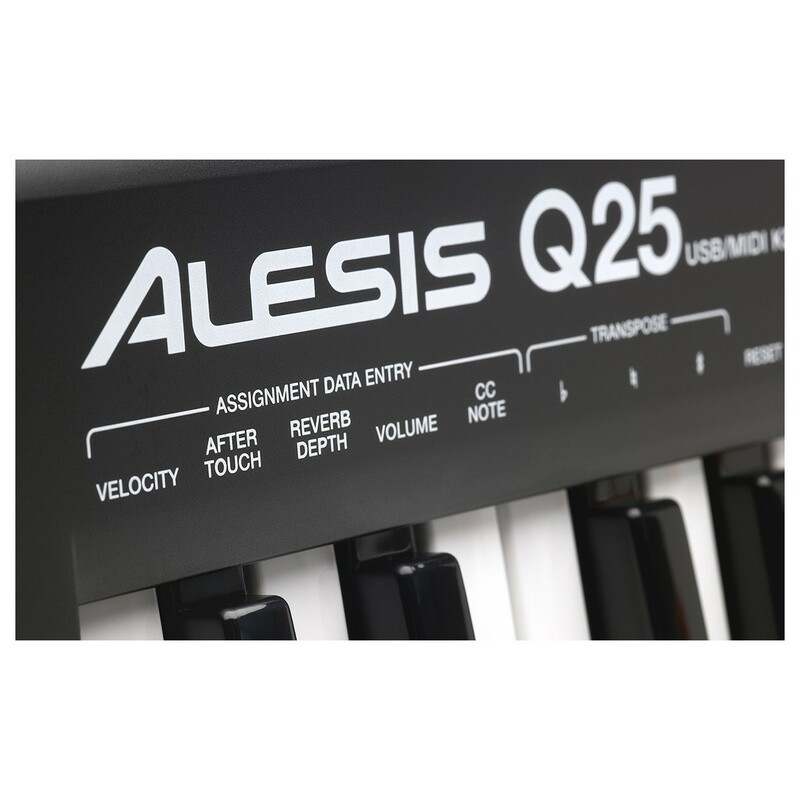 The additional sustain input on the rear of the Q25 is also an extremely unique feature for a midi keyboard at this price point, further the unique and versatile nature of the Alesis Q25. 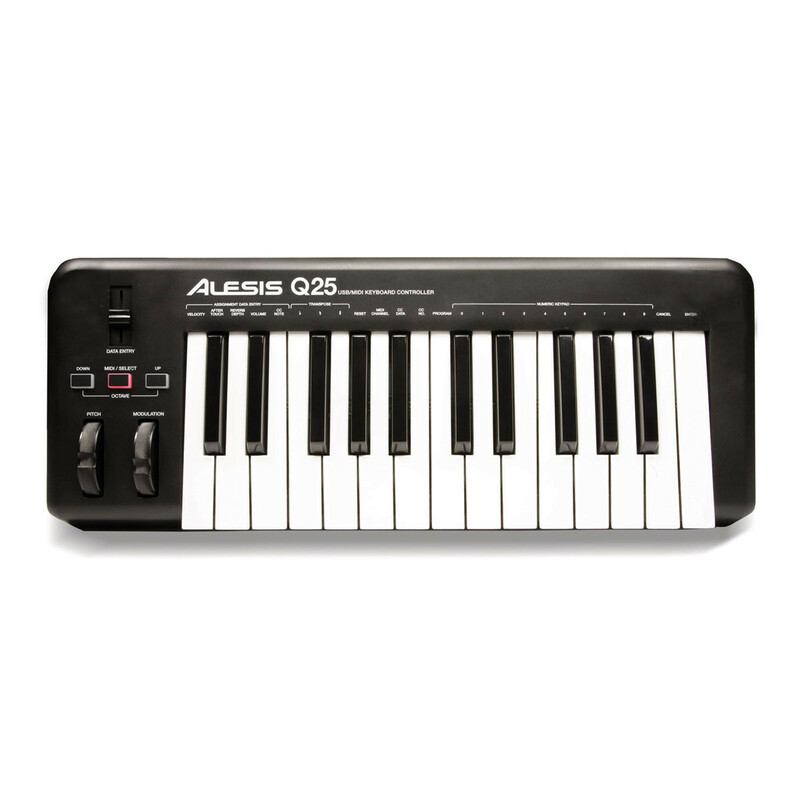 The Q25 is a compact, no-hassle MIDI controller that meets a range of music software and hardware needs. Alesis has created a simplictic and user friendly device that allows composers to just plug and play. 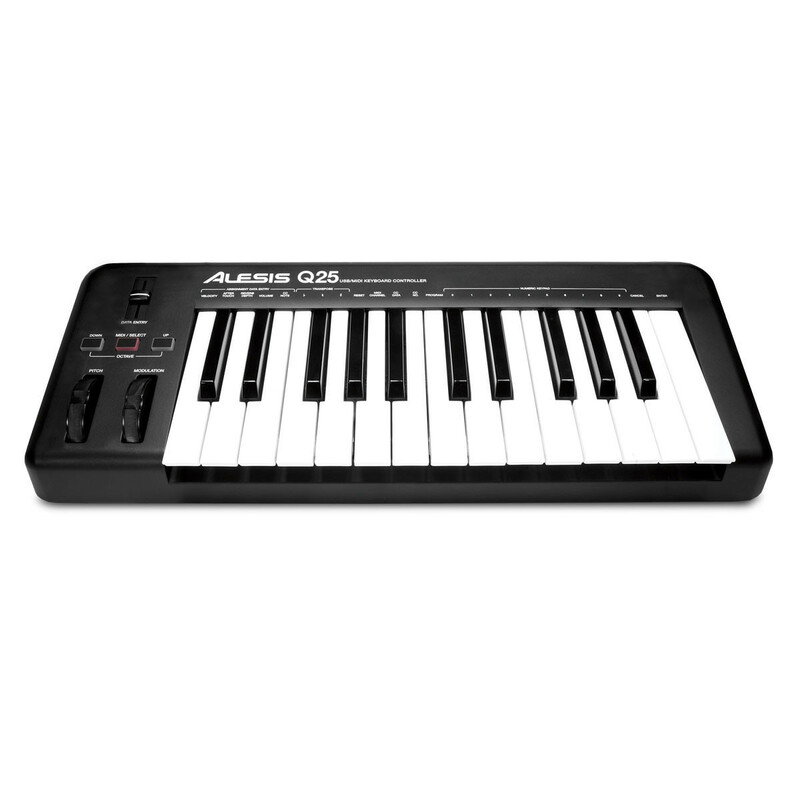 As part of the Q series of MIDI keyboard controllers, the Q25 is the smallest in the range which increases portability for making music in transient environments. Simply connect the Q25 to your computer with the included USB cable and you're ready to begin making music straight away. A single USB cable supplies power and data connection, and you won't even need to install drivers to make the Q25 work. The Q25 is class-compliant, which allows you to skip the programming and start playing instantly. The Q25 comes with a copy of Ableton Live Lite software, for performing, recording, and sequencing music right out of the box. The Q25 is also the perfect choice for controlling hardware MIDI devices. Its compact size and portability make it ideal for fitting into existing rigs and then hitting the road. Place it a tier above an existing workstation keyboard and utilise Q25's streamlined layout to maximize your sound and performance options. You can even send Program Changes from the Q25's keys to change programs, patches, and more.